As a kid I loved collecting hockey and baseball cards, of course it was a bonus to get a stick of gum with them and then use the doubles in the spokes of my bicycle tires. I had no idea how much card values would skyrocket and of course most of the cards I collected in the 80’s are either lost or are in awful condition. I did manage to keep a small collection of cards from the early 90’s in good shape and have passed them down to my son, who is only 10 years old, but understands the benefits of taking care of collectibles much better than I did at the same age. The quality of the cards today is much better than back in my days as a youngster its much easier to keep them in top condition. 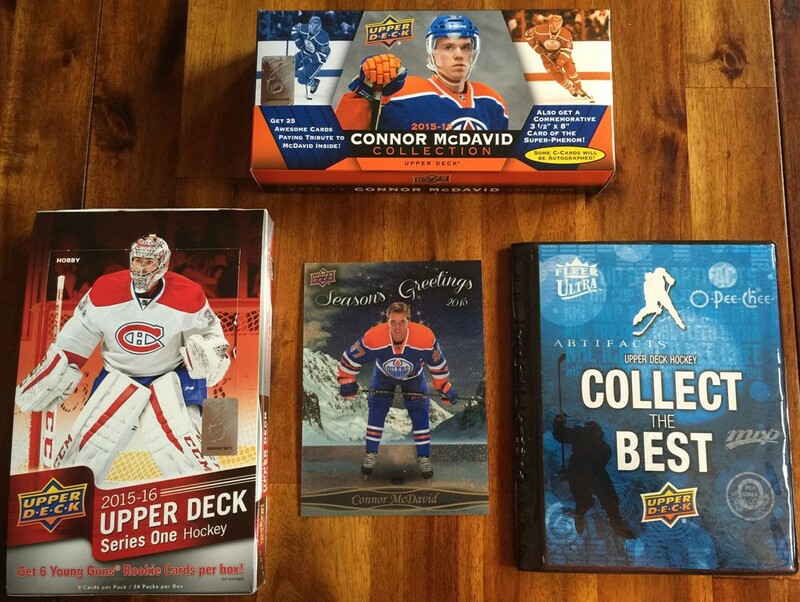 I recently received the new Upper Deck 2015-16 Series One card set along with the 2015-16 Connor McDavid collection with the understanding I would review them on the site and I must say they are superb. 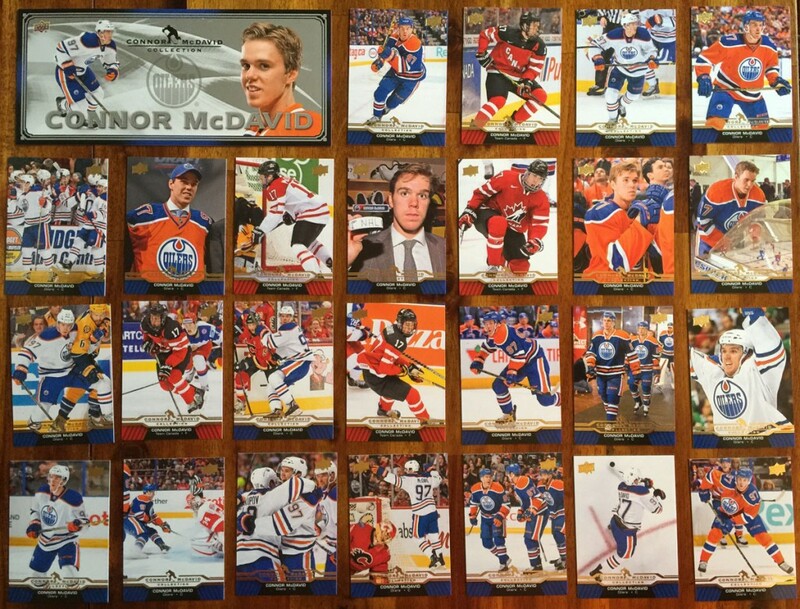 First of all the Conner McDavid collection is a real beauty, you get 25 McDavid cards plus one large header card. Each card is beautifully designed and has a little story on the back about McDavid, these ones won’t be going in the spokes. There are some great specialty cards in this set from ‘Young Gun Rookie Cards’ to ‘Shining Star’ I’ll give a brief description of each. 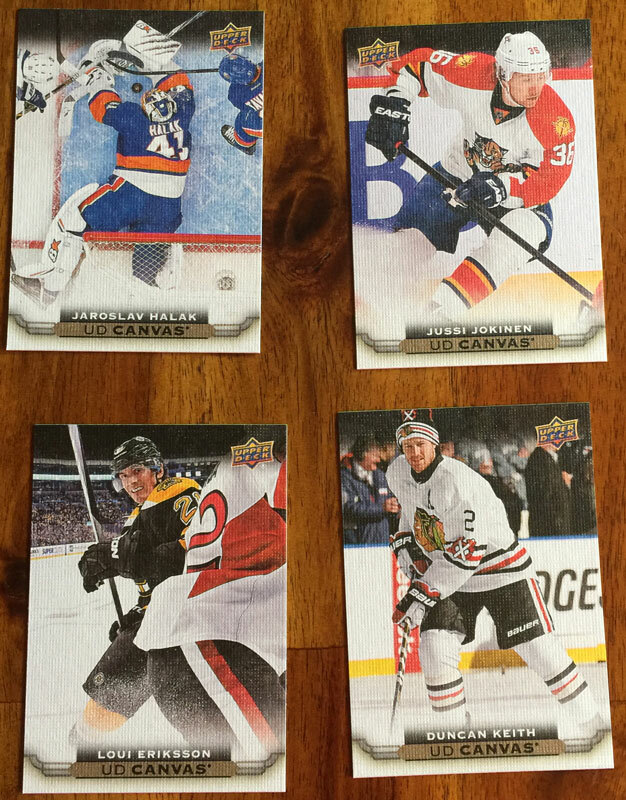 In my box there were 6 of ‘Young Guns’ cards who are all rookies this season in the NHL. The cards have player descriptions on the back as well as the players stats from their pre NHL career. 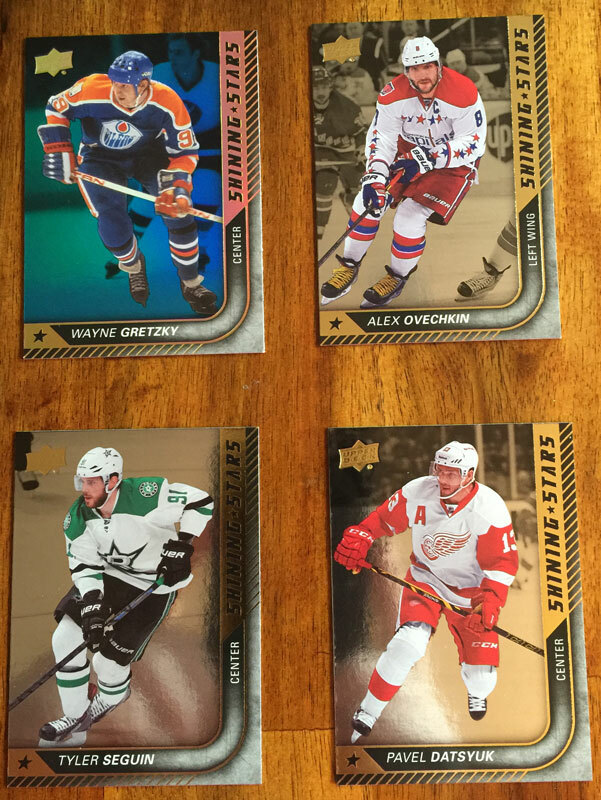 These cards are the best players in the league but not necessarily active players, I got the Wayne Gretzky shining star card in my box which was really the icing on the cake for me. The Canvas Cards are exactly what it sounds like, the card feels and looks like canvas. These guys will probably require a little more love then the regular cards but I would bet money that they perform much better in the spokes of a bicycle. The portrait cards are specially designed cards to look like a framed portrait of the player. The McDavid cards are unbelievable and I really like that Gretzky card but by far the best part of opening all of these cards was the smile on my sons face. 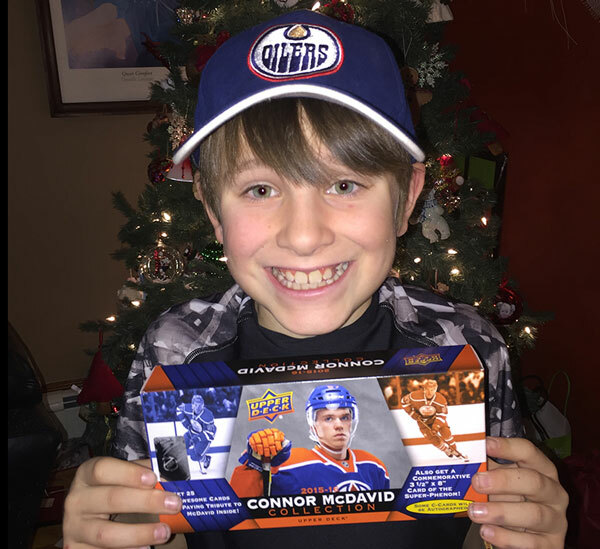 This entry was posted in Product Review and tagged Hockey Cards, McDavid, Upper Deck on December 24, 2015 by jtunnicliff. 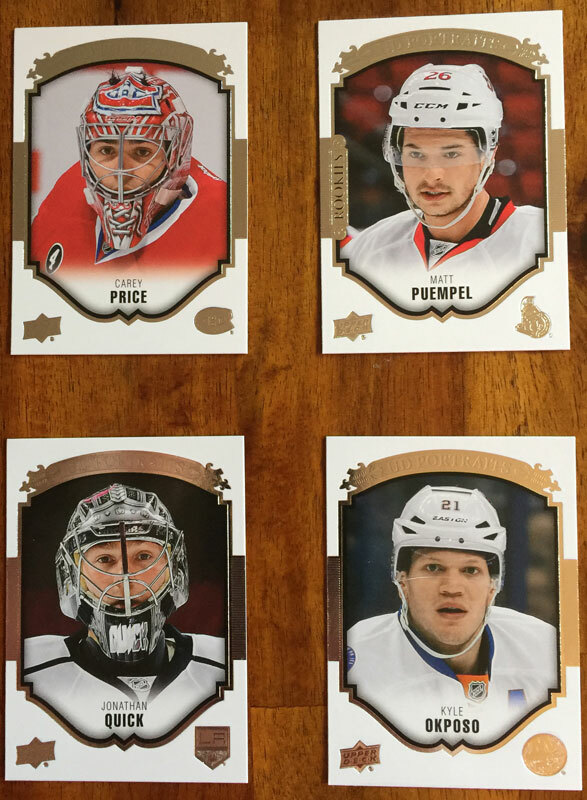 Or likely any store in your area that sells hockey cards, I’ve seen it at Walmart. 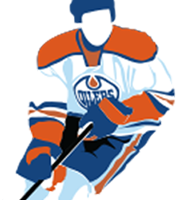 Where can you get that McDavid set? And how much does it cost.